So the news has dropped, folks. 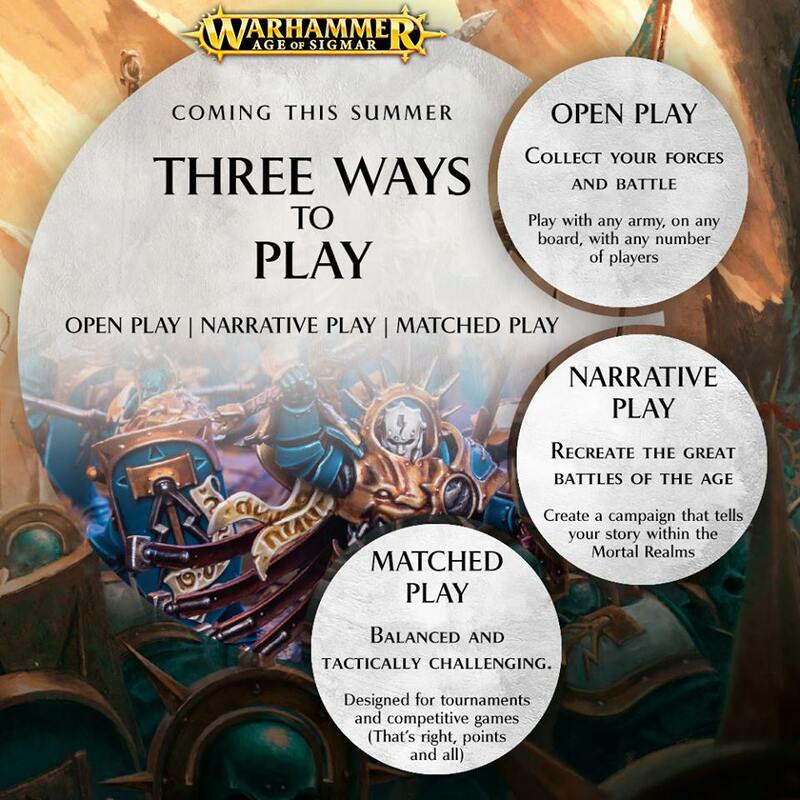 Age of Sigmar will have points values, probably around the first anniversary I’m guessing – early July, anyway. Seems like a lot of folks are pretty happy. In addition, they’re bringing a narrative style that sounds like it could be awesome, though I’m vaguely suspicious as the campaign books that have been published so far already contain a high degree of this style of play. Maybe there’ll be an almost-RPG feel to the game? I don’t know. Should be really cool, anyway, and is by far the most exciting part of this announcement for me.